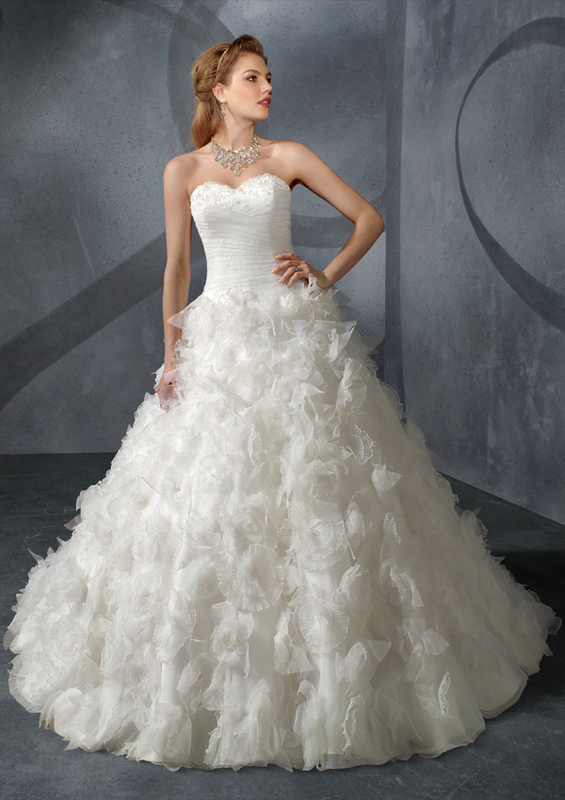 The House of Brides websites includes over 50,000 products. They offer a wide variety including wedding dresses, bridesmaids dresses, mother of the bride dresses, plus size dresses, maternity dresses, quinceanera dresses, flower girl dresses, prom and special occasion dresses, bridal headpieces, bridal jewelry and accessories and much more. House of Brides is the oldest name in the bridal industry and has a trusted reputation which is known worldwide for their quality, selection, customer service and competitive pricing. If you are lucky enough to live close by, you can visit one of their 6 Chicago area bridal salons located in Chicago, Schaumburg, Oak Lawn, Glen Ellyn, Aurora, and Orland Park. However, if you are not within driving distance to one of their Chicagoland stores, you can still order online and receive the same spectacular customer service either by phone or live chat online. You can shop their online bridal boutique from the comfort of your home while having a huge selection of bridal gowns and accessories to choose from. Shopping online makes it easy for all your bridesmaids to find a dress they agree on as well. If you are having an issue, just click on the online chat button for help from a knowledgeable customer service representative. Their site is available 7 days a week which makes shopping for your wedding gown, bridal shoes, bridesmaids dresses, foundation garments and even your wedding night lingerie incredibly convenient for the bride as well as her entire wedding party. Also, if you are in a hurry to receive your gown, you can browse through their "immediate delivery" section and have your gown shipped within 7 business days.